The figure of Guanyin is reserved in the biscuit seated on a ledge within a grotto framed by cloud-scrolls and a moon. The scrolls support a bird on one side and a ledge on the other. A moulded lotus leaf and lotus flower stem form the base. There are two apertures to the reverse. 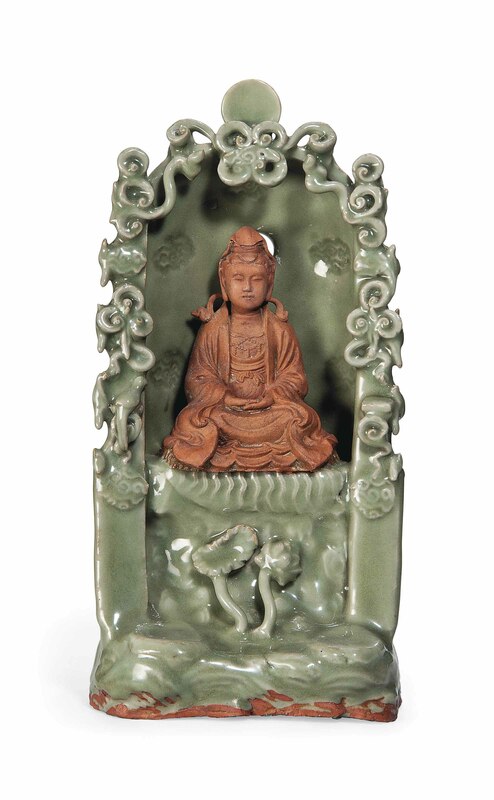 A similar shrine sold at Christie's New York, 19-20 September 2013, lot 1285.